It’s one thing to take up a workout; to maximize gains is a totally different matter, though, and it takes a tad more planning and effort. Your sweaty, fat-busting, muscle-toning routine will be far more efficient if you change it up slightly – and here are a few cues to help you get the most out of your gym time with minimal post-workout muscle soreness and fatigue in the mix. 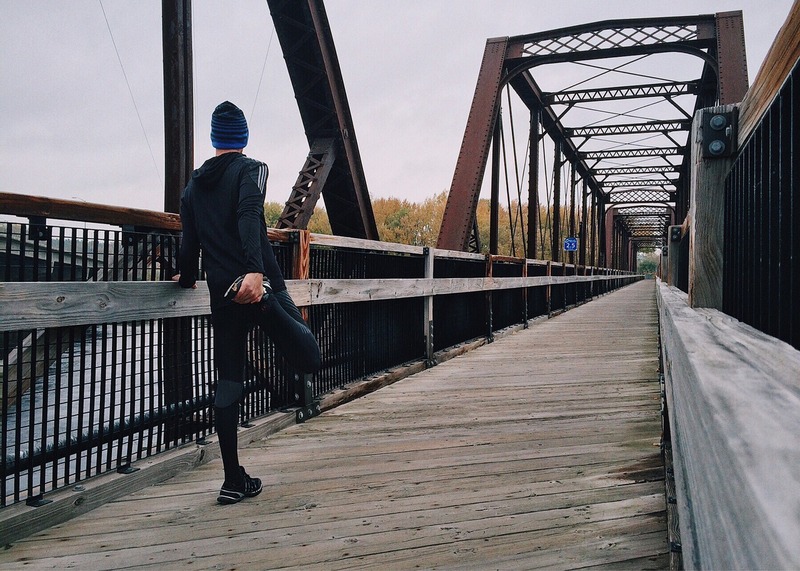 Warm-ups are as important as the workout itself because they prepare your muscles for periods of high strain, but you can try saving yourself a bit of workout time by warming up on the way to the gym. You can bike, jog, or walk to the fitness center to engage major muscle groups and cut the waste of workout time: that way, you’ll be able to dive into the reps as soon as get to the gym. If the gym is far away from your home, get off the bus a few stops earlier or park at the far end of the lot and walk to the gym instead. Most gym-goers do cardio before they proceed to their strength training routine – but this is not exactly the best way to structure your workout if you’re looking to max out its effects. A 2015 study has found that focusing on weight training first and saving cardio for later results in more reps, so it may be smart to put on lifting straps and hit the barbell first, and climb the treadmill or elliptical after your strength training is done – or even save cardio for recovery day. Rest periods shouldn’t be skipped – but they shouldn’t be needlessly extended either. Limit rest intervals to 30-45 seconds and consider activating them by performing low-intensity moves such as core slider exercises that don’t strain the muscles or expend too much energy. Active rest will help increase workout effects, but don’t Hulk out with the rest reps as this will only reduce your overall workout performance. Interval training is getting more popular by the day, and for a good reason. By mixing the gym routine and putting training intensity on shuffle, you’ll hack bulk building, boost your fitness and nudge your cardiovascular function in the right direction. For maximum workout effects, mix three-minute aerobic intervals with one- or two-minute explosive periods, and repeat the drill three to five times, with a minute-long rest in between sets. To amp workout efficiency and results, plan the failure point before it actually occurs, and don’t aim for it at every set. Training to failure promotes muscle building and it also increases strength but you should be reasonable and save the failure point for the last exercise set. To achieve the failure point, use super-slow moves with light resistance, and slow down the pace as the end of the final exercise set draws closer. Although you may think post-training stretches are a waste of time, stretching after the workout is essential to maximum bulk results because it helps prevent muscle soreness that can result in skipped gym sessions. Once your at-gym time is done, use a foam roller to get the blood flowing in your lateral, back, and lower body muscles, or try the stretch strap if you’re training without a partner. Whatever prop you opt for, make sure you don’t skip stretches before you go out of the gym – your muscles will be grateful for the extra effort. Pre- and post-workout nutrition is as important as the structure of your training, as it allows your body to prepare for and replenish after intervals of high strain. The pre-workout meal should be centered on complex carbs and protein with as little fiber and fat as possible to prevent stomach problems during gym sessions. Likewise, your post-training snack should be rich in protein to keep muscle damage in check and accelerate bulk building. Ready to hit the gym? Make sure to follow the tips listed above in your next exercise session, and peak performance and muscle gains will hit home much faster. Nowadays there is a tendency that all people have to look good. You have to be smart, well-groomed, with hairstyles, manicures and beautiful fit bodies. Besides, in recent years, it has become very fashionable to lead a healthy and active lifestyle. But as we all know it is often very hard to start something. Here I offer you 30 sets of fat burning that will help you get in shape and get rid of extra fat in the body. As soon as you wake up, drink 1-2 cups of coffee. Caffeine – is a proven “fat burner”. It helps not only to burn more fat during exercise, but also prevents its accumulation. Drink a cup or two of strong coffee before morning cardio. Even do not dare to put sugar and cream! This will spoil everything! Sugar and cream do not let burn fat! Instead of coffee, you can take caffeine in tablets (200-300mg). And be assured – the effect of caffeine is scientifically proven! Take some BCAAs and carnitine before cardio. Cardio destructs not only fat, but also muscles (catabolism-muscle destruction). In order to avoid this, take 5g of BCAA. BCAAs is guaranteed to neutralize muscle catabolism! Don’t forget about carnitine. 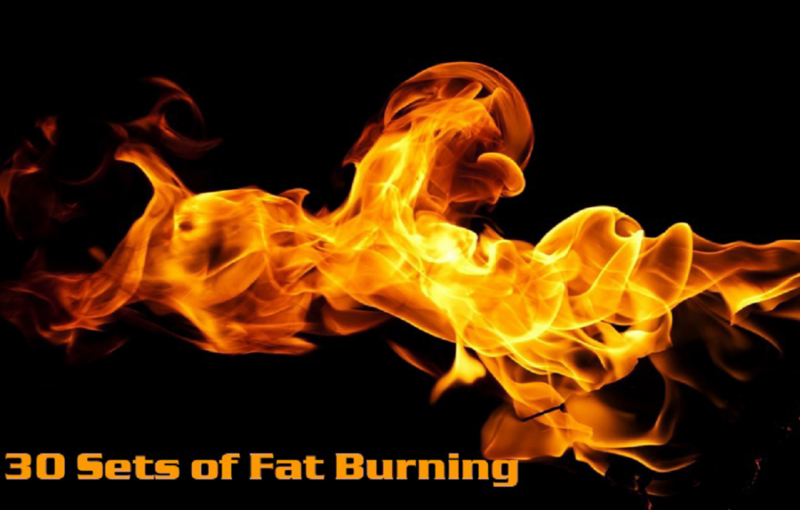 It burns fat and increases levels of the hormone testosterone that also burns fat. Do cardio before breakfast. While you are sleeping the body, usually depletes sugar. So, subcutaneous fat is the main source of energy for cardio. That is why, morning cardio efficiency is very high! Of course, you have to get up a little earlier than usual to get in time to work. But the effect of cardio is worth it! Some time ago, cardio was understood as rhythmic running. But later, we came up with a new cardio – interval. For example, run fast for a minute and then walk fast for a minute. This alternation of load pace has a powerful fat burning effect. Scientists undertook to compare the results of a six-month aerobics course in two groups: first group simply practiced intense jogging and the second – the intervals. As a result, athletes in the second group disposed of fat 9 times more. Spend your morning cardio for 25 minutes, breaking it up into minute intervals: minute – running, minute – brisk walking. You need a good meal after a morning cardio. The best option is eggs. The yolk contains healthy fats and lecithin, which helps the muscles grow, improve brain function and accelerate fat metabolism. Cholesterol that is also in the yolk is used to produce testosterone in your body. Fats in eggs are immediately spent on energy consumption and almost never stored. Scientists note that the consumption of eggs for breakfast reduces subsequent calorie intake by almost 25%. Nutritionists recommend eating 2-3 whole eggs + 2-3 egg whites in the morning. Do not be afraid of cholesterol in eggs, taking them does not lead to an increase in bad cholesterol. But you should be afraid of infection, so boil eggs! It is good to eat slow carbohydrates, for example, 2 whole-meal toasts or a plate of porridge for breakfast. Slow carbohydrates do not raise insulin levels, which is responsible for fat storage “on reserve”. When insulin is low, carbohydrate metabolism slows down, and fat metabolism increases. This saves glycogen during training, and speeds up recovery. In addition, grains contain fiber that helps get rid of fat and suppresses appetite. 7. A half of grapefruit. Eat half a grapefruit for breakfast. Grapefruit juice helps get rid of fat, lowering insulin levels due to the action of vitamin C. The research showed that those who ate half a grapefruit for breakfast, could burn 1.5 kg of fat more than 3 months as compared to the other groups. A couple of hours after the first breakfast is time to get to the second. Remember that you need to eat every 2-3 hours. What for? 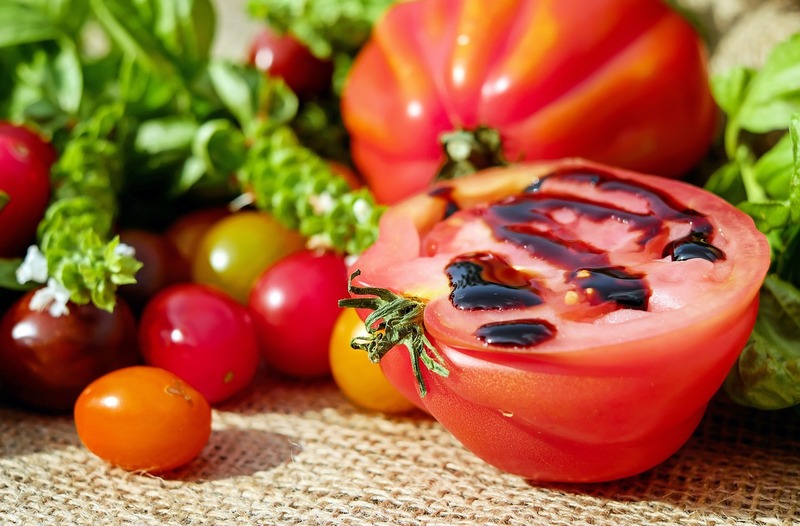 Frequent meal mode speeds up the processes occurring in the body, including fat burning. That is why, you need to eat 6-8 times a day to lose weight. And then, it’s time to eat porridge again. We need simple oatmeal, boiled in water, without sweeteners or flavorings . Food intake cannot be considered complete if there is no protein, so add some cottage cheese to oatmeal. This wonderful product contains about 28 grams of protein per cup, that is, casein protein that accelerates the growth of muscles and reduces appetite. It is better to choose cheese with low fat (not more than 1 %). Drink 2 cups of cold water between meals. Studies show that this method speeds up metabolism by 25-30 % within an hour. On the contrary, dehydration inhibits fat burning. Water intake (plain, no additives) is essential! Do not forget about it, if you want to get rid of fat! Before a workout, take green tea extract containing strong natural fat burners: caffeine, catechins. Take it two times a day, to get rid of fat. A single dose is 500 mg, taken before meals. Of course, we do a warm-up before training, stretching and warm-up exercises. That can be replaced by a short cardio session on the ergometer bicycle (10-15 minutes), during the fat burning workout. It will also help warm up and burn at least 150 calories. Strength training should be changed a little, because our goal is to get rid of fat. Focus on large muscle groups. Such training consumes more energy. Give up the isolated lung exercises on blocks and simulators. General exercises with a barbell or dumbbells should be the basis of the training program. Thus, squats consume 50% more energy than the leg press. Then, it is necessary to change the methods and training, too. If you train 1-2 muscles a day, then you need to go to the simultaneous training of all muscles of the body. If you do not have time, break all the muscle groups into 2 days (Day 1-chest, back, delta, legs; Day 2-arms, calves, press). Train each muscle 1-2 exercises for 3-5 sets. It’s perfect to train in a day. Gym veterans advise that you should do a lot of repetitions in each set, so they say you will burn more calories. Not likely! 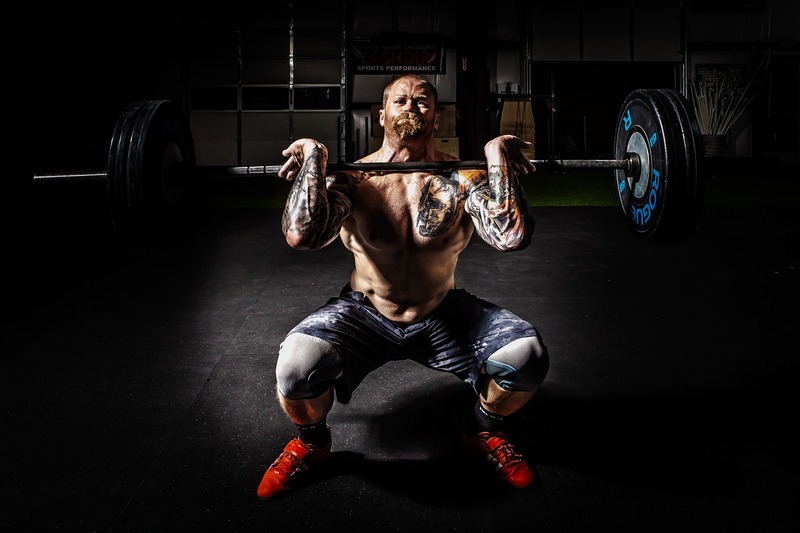 Science has shown that severe hard 4-6 repetitions cause the largest energy consumption, besides, body is in a state of rapid metabolism for a few hours after such training. 15. Less rest between sets. How can I do the hard 4-6 repetitions and rest between 3 minutes? You can and should! To get rid of fat, you have to rest for 30 seconds, at least a minute. And in order to have time to recover, use this trick: mix sets of exercises on different muscle groups. For example, today you do chest and back. Make a set for the chest and after 30 seconds go to the set of exercise for the back … So, while one muscle is working, the other rests. To burn fat even more, use the principles of Weider “rest-pause” and stage sets. Do 6 reps, decrease the weight for 10% and continue set to the bursting point (step). Or you can relax for 15-20 seconds and do a few more reps with the same weight to the bursting point (rest- break). These carbohydrates are considered to be harmful, because it stimulates the sharp release of insulin, but it is very good after a workout. Insulin helps when exhausted muscles are in great need of sugar. The rapid recovery of energy in the muscles, stimulates further growth. Well, the more muscles, the more energy they need. It will also help get rid of fat. Muscles need protein after a workout. Natural protein is slowly digested, so it is better to drink a protein shake of whey protein. The cocktail should contain 20-40 grams of protein. Scientists have proven that taking whey protein in large quantities helps get rid of fat. Creatine increases muscle strength, as well as speeds up the metabolism, increasing the daily energy expenditure of at least 100 calories. Eat some nuts between the post-workout meal and the next meal. They contain healthy fats that help the absorption of other fat. 21 Law of the salad. You cannot eat a lot for dinner – it is an important rule of weight loss. Vegetable salads will help. They are low in calories, but they have the volume necessary to create the illusion of fullness. If you eat a salad before the main course, the amount of food eaten will be reduced by 12%. It is useful to add beans and nuts to the salad. But store salads with mayonnaise, sauce, etc. are prohibited. Seriously, if you want to get rid of fat, add lemon juice or vinegar to the salad. Fish contains omega-3 fats, accelerating metabolism. Its important influence on our body has been proved away back. It is important to remember that fish can be fried only on the grill and never on the frying pan. It seems like this vegetable is specially created for those who want to get rid of fat. It contains a lot of calcium, vitamin C, chromium, fiber. That’s why, broccoli is an ideal product for supper. Surprisingly, milk helps get rid of fat. Obviously, of low fats. The scientists attributed this property of milk with a high content of calcium that split fats. Milk contains a lot of protein that is useful during the night. Choose milk with a fat content not more than 1%. If you want sweets, forget the cakes and candies. You can only eat fruits for dessert. The most valuable is grapefruit, but you can replace it with an apple (has Sea vitamins and minerals, low in calories). Walk before going to bed. You need to take a walk after dinner, even if there is no dog. Select a distance to walk for 30 minutes. This will be useful and digestion will be faster. It is especially necessary, if you ate too much. But in this case, it is better to walk FOR45 minutes. You can NOT eat carbohydrates after dinner, even if you are tortured with night hunger. They will turn into body fat. The only exception – late workout. Here you have to do it according to the already known rule about quick carbohydrates. Drink a protein shake before going to bed. The best choice is casein, as whey protein is not suitable. Its uptake will last for the whole night. In addition, casein helps get rid of fat, but you are unlikely to succeed in losing weight in a week. This supplement includes zinc – an important and missing trace element in our body. It plays an important role in the synthesis of testosterone. A low level of zinc means weaker muscle growth. Take ZMA on an empty stomach one hour, half an hour before bedtime. Read more about the benefits of ZMA. Lack of sleep reduces the level of hormones, including testosterone, slows down metabolism and the burning of fat. Scientists believe that sports people should sleep at least 7-8 hours a day. Though sleeping too much is harmful. This way sleeping over 10 hours leads to the same changes in the hormonal background. I hope these tips will be useful for you! Good Luck! To make exercise a part of your every week schedule, you have to accept the procedure and come up with a determination to change the condition of your health. As soon as you are in the mentality that you want to create an optimistic improvement in your daily life, it is simpler to achieve your aims. Right here are a few helpful suggestions to make healthy exercise habits that will always lead you to fitness. It has turn out to be a well-known punchline in the pop culture; however it is additionally a mental fact. Gratifying yourself for good behavior assists in forming your behavior quicker and inspires you in the direction of your aim. Tell yourself that it does not regard the destination, it regards the quest. Rather than only celebrating when you hit your goal weight or even zipping your jeans up without having a problem, you ought to enjoy your modest wins. Praise yourself for exercising 3 times this week as you prepared or even for having the ability to complete bicep curls with five-pound dumbbells. Most of us are not aware that joint pain relief can be dealt with if he/she exercise early in the morning. While the allure of a pleasant, cozy bed or even kicking your feet up for watching your best Television show is appealing, keep in mind that all those steps usually do not further the achievement of your respective aims. Working out will set a positive tone for your rest of the day. In case, you do not have time and energy to move early in the morning, then go on the path of your residence from work. Stay away from heading to your home among function and fitness center to be rejuvenated or even to have dinner; you will be more unlikely to return from the gym. As an alternative, keep a gym handbag all packed and all set to head out in your vehicle to ensure that you will not be enticed going to your house first of all. It is suggested that you are energetic a minimum of half an hour every day. That is only 2% of the whole day. Try out scheduling your exercises similar to a business conference or perhaps a doctor’s visit to ensure that they are guaranteed. You should not think about exercise as a task; consider this as a unique portion of your entire day whenever you can concentrate exclusively on yourself. In case, you are not feeling up to an exercise, attempt performing a minimum of 5 to 10 minutes before tossing in the hand towel. Possibilities are that as soon as you warm up, you will power through your exercise and will feel much better as soon as you are completed. In case, you dislike jogging, pushing you to ultimately the fitness center following a long day to jog on your treadmill is going to be difficult. Still in case, you like to dance, going to a Zumba class right after a long day, might be a lot more attractive choice. Not sure about what you prefer? Check out something entirely new every week. Not just will certainly this particular assist you discover a new hobby; however, it will also confuse your muscles, getting rid of much more calories. Keep a record of your exercises and then play a game with yourself for defeating your individual record. As an example, in case, you walked 3,000 steps just today, try to walk a minimum of 3,500 on the next day. You will find many devices and apps which can monitor your exercises for you personally, such as a FitBit or MyFitnessPal. Many these techniques contain a social aspect; therefore, you may challenge friends and family to some healthy and balanced competition. You can obtain the most efficient exercise while you are in a workout center; however, there is no reason to restrict your exercises to when you are clad in spandex. Try to make minor changes for example parking further off from a shop or perhaps taking the stairways rather than the lift. Intentionally creating these minor changes is an ideal way to work out even if you do not mean to. Gozine lifestyle fitness is the best one if you are thinking about your exercises. Getting into this particular attitude can assist you to make wiser decisions throughout the day, for example passing up your office donuts for a granola bar which you brought from your house. There are many reasons why people go the gym. To list a few, they include building muscle, losing excess fat, getting lean, socializing, stress relief… and many many more reasons to list. Why do I go to the gym?